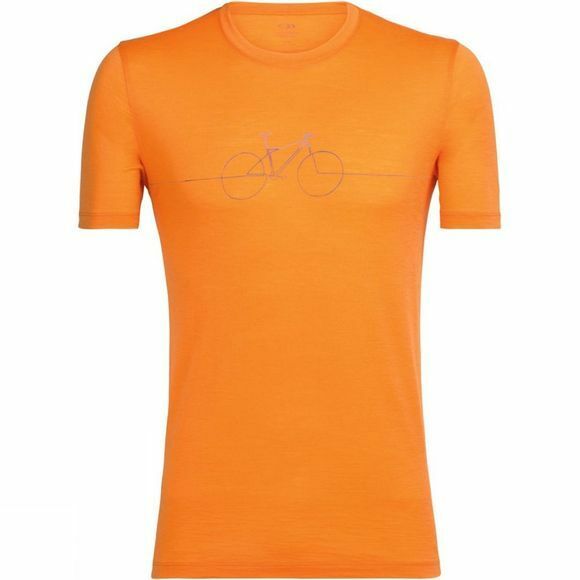 The Tech Lite Short Sleeve Crewe Cadence T-Shirt from Icebreaker is a highly breathable, comfortable, do-it-all merino wool T-shirt, the Tech Lite Short Sleeve Crewe Cadence is a go-to top for four seasons worth of trails, travels, and active pursuits. With capabilities as varied as the adventures you’ll take it on, the Tech Lite features corespun fabric, which uses nylon fibers wrapped in merino wool to provide added strength and durability while maintaining next-to-skin softness. Original screenprint artwork by Zachary Snyder is inspired by life lived on two wheels.